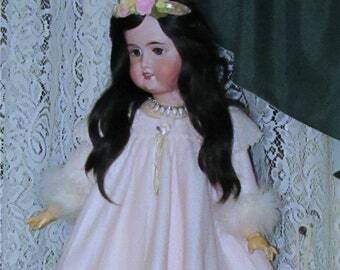 Absolutely enchanting little doll; fast shipping; very carefully packed. Attentive seller. I lost my mother at a young age. 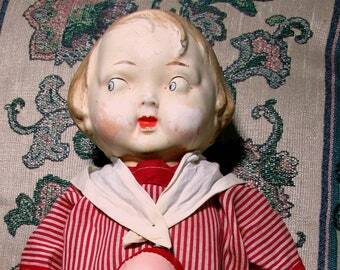 Her last gift to me was a doll name Vittoria. Our best bonding moments were over dolls, brushing their hair while talking about our day. 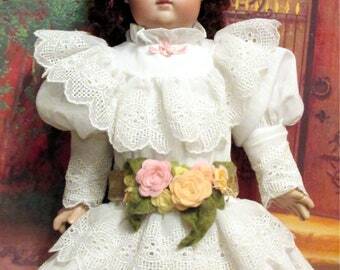 Intrinsically to care for them continues the life of that bond..
A large part of my life has been working with dolls from restoring them, sewing for them to making and painting them. 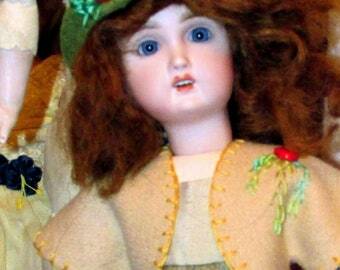 My friend and I have been making doll wigs in mohair and human hair since the the late 1980s. 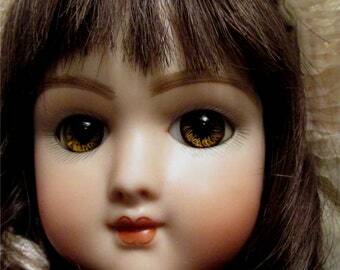 I make Limited Edition ball jointed art dolls (bjd) - their name speaks about why they are fun - Movement, articulation, and the versatility to change their wigs and eyes can give 1 doll a hundred looks. 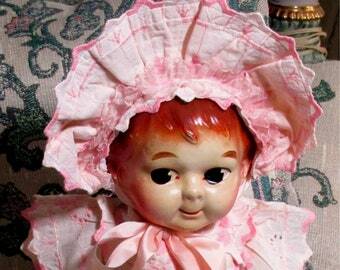 I love antique dolls - They are a mysterious enigma. The history of little girls of moms and daughters... teaching, nurturing, sympathizing. From Peg wooden and Creche to wax, bisque, paper mache, compo, celluloid and hard plastic -- I see the era unfold by the toys the children played with.. Dolls in particular mirror what was happening at the time, the fashions, the body types. Ideals for girls to emulate.